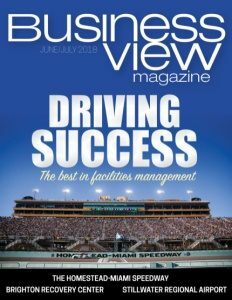 Business View Magazine interviews John Pfeiffer of Slifer Smith & Frampton Real Estate, as part of our focus on best practices of real estate companies. Recreational snow skiing first came to Summit County, Colorado in December, 1961, when the Peak 8 Ski Area opened for business at Breckenridge. In neighboring Eagle County, the Vail Ski Resort opened its doors in 1962. Both resorts were owned by Vail Associates, a company established by Pete Seibert, a former ski trooper for the U.S. army in World War II, and Earl Eaton — two ski patrol guides at Aspen who were looking to find the “next great ski mountain.” Today, the company is known as Vail Resorts, and it’s the premier mountain resort company in the world. Rod Slifer was a ski instructor and realtor who started selling properties for Vail Associates out of the lobby of the Lodge at Vail, the same year that it opened. 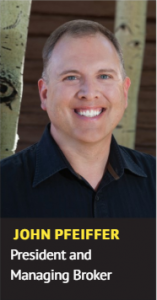 In 1968, he founded his own brokerage, Slifer & Company and, over the years, as the ski areas in the two counties continued to grow, so did Slifer & Company and Vail Associates Real Estate. In 1986, Harry Frampton and Mark Smith formed East West Partners, developers of the Beaver Creek Resort in the nearby town of Avon. In 1988, Frampton and Smith opened Frampton & Smith Real Estate, concentrating on the newly-formed Beaver Creek market. 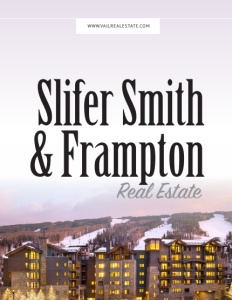 In 1994, the two top dueling powers of Vail Valley real estate, Slifer & Company, and Frampton & Smith Real Estate, merged to form Slifer Smith & Frampton Real Estate. Today, Slifer Smith & Frampton is part of the East West Partners family of companies. East West Partners is devoted to building, selling, managing, and supporting high-quality real estate and life experiences. 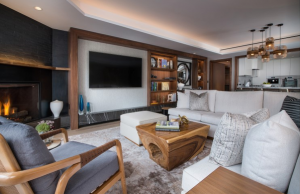 It features a real estate development division, a resort management division, and Slifer Smith & Frampton, which represents the real estate sales division. “We are also directly affiliated with Vail Resorts, which owns the main ski areas here – Vail, Beaver Creek, Breckenridge, and Keystone,” adds John Pfeiffer, the company’s President and Managing Broker. Check out this handpicked feature on Keller Williams Realty Beverly – Focused on the agent.